Boca Juniors are reportedly eyeing a move for Manchester United goalkeeper Sergio Romero. The 29-year-old Argentine shot-stopper arrived at Old Trafford on a free transfer from Sampdoria in the summer of 2015, but he has rarely appeared for Manchester United with David de Gea easily ahead of him in the pecking order. Romero had 11 appearances across all competitions last season and he has continued to grab some game time since Jose Mourinho took over from Louis van Gaal. He is yet to play a single minute of Premier League football this season with his five first-team appearances came in either Europa League or domestic cup tournaments. Argentina manager Edgardo Bauza recently made it quite clear that Romero cannot continue as his number one choice in between the sticks if he doesn’t get regular game time at club level. And, if the reports from a local outlet Ole are to be believed, then that has attracted Boca Juniors’ interest, who are confident they can persuade the goalkeeper back to his homeland with the lucrative offer of first-team football. The Argentinian club have reportedly initiated the talks with Romero’s representatives regarding a move to Buenos Aires. But they will still face an uphill task to sign their man, as Romero’s current contract with the Red Devils runs until the end of next season. And sources close to him believe he is keen to stay at Old Trafford and continue his fight for first team place or at least remain in Europe with his family. 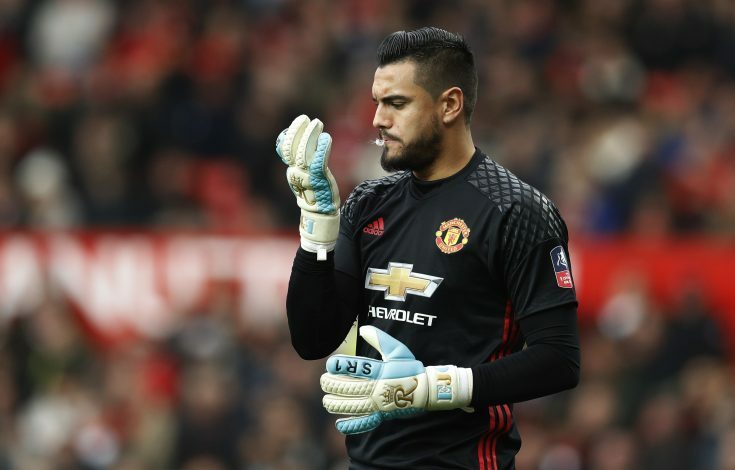 Also with Sam Johnstone making his move to Aston Villa on loan until the end of this season, any deal for Romero will have to wait as he remains the only senior reserve goalkeeper available to Jose Mourinho.